Lash curling effect mascara. Beautifully defined volume. 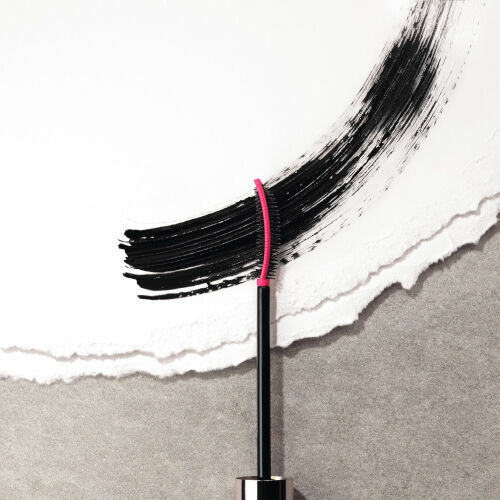 YSL’s new mascara with our 2-in-1 mascara wand offers stunning curl and beautifully defined volume. - CURL: The black rounded fibre wand to curl lashes. - DEFINE: The pink elastomer comb to add a look of instant lash lift and definition. Get a curl for a new signature eye look. A mascara that matches wand technology with a curl formula, offering a breath taking lash curling effect that lifts and volumizes lashes. Discover how to use your new Curler mascara here, following Amelia's tutorial to have the fullest effect on your lashes. * consumer test on 120 women. KEEPING THE CURL SOFT, SUPPLE AND SHINY ! jojoba oil, with a pink elastomer comb for definition. In a game changing, provocative innovation, every girl is invited to join the revolution and showcase her individuality. Experiment and create, get a curl for a new signature eye look. Mascara Volume Effect Faux Cils The Curler is rated 4.7 out of 5 by 282. Rated 5 out of 5 by Jmich from Amazing YSL curl effect mascara This product looks classy in a lovely rose gold packaging and the product is just as amazing. The mascara goes on well with the brush supplied which is a perfect curved shape to give your lashes a lovely long curl. You can even choose which side of the brush to use depending on the look you are going for, either curled or voluminous. You can also choos how much mascara you apply as it is easy to adjust how much mascara is applied on the brush, allowing even a light coat. I recommend using with the YSL primer for even greater eyes. My definite go to mascara for all occasions. Great for all ages, I often find it in my teenage daughters room. Rated 5 out of 5 by Zed2018 from Curl power I tried the YSL volume effect the curler mascara with the primer to dramatically increase the volume of my lashes with little effort. And in matter of seconds my lashes had the appearance of false lashes. I wore this mascara to work in the morning and a few occasions while going out shopping. A few close colleagues at work commented how my eyes looked different. Obviously not knowing at the time which mascara I had used until I told them when they complimented me. For work I didn’t apply the eyelash primer as I felt the mascara was sufficient to give my lashes a volume boost and a perfect day time look. Rated 4 out of 5 by pmadge from Pleasantly surprised by this mascara I had a tricky start with this mascara first but I'm so glad I kept using it and now I'm absolutely loving it. At first my lashes got really clumpy, the brush confused me and I didn't like how my eyes looked at all. It took me over a week to figure out what is the best way to use this mascara. My lashes look much longer more defined and also volumised. I love the side of the brush with the little spikes,the lashes can be really separated and styled with it. It also coated every single lash of mine and it did not smudge at all. My only even better if would be about the colour. It could be more intense like a deep carbon black. Rated 4 out of 5 by Phiatabby from Beautiful I love the gold packing of this mascara . I used it with the primer and on its own , the results using the mascara on its own is very good but using the mascara on top of the primer was unbelievable. I knew my eyelashes had curled as they touched my glass this usually happens when I use an eyelash curler, not this time just the primer and mascara. The brush I found strange at first could not work out which way to use but good when I got used to the brush. I always manage to get bits of mascara on my eyelids when applying but not with this brush. No smudging during the day and when I removed the mascara at night it looks like i had just applied. Rated 5 out of 5 by KitKat987 from My new favourite! I used several YSL mascara in the past and loved most of them, especially the Babydoll...but the Curler is my new favourite! It lifts lashes after just a couple of strokes and the lift lasts for hours. If you apply it with the YSL primer it makes the mascara sit on your lashes even better and makes it more volumising. The Curler has amazing brush which makes it easy to reach even the tiny lashes and the pink side brushes make it easy to separate all the lashes and add extra length. I work long hours mostly outside and the Curler did not disappoint...no smudges, No panda eyes. Brilliant product in Ana amazing and classy YSL packaging! Rated 5 out of 5 by parisc46 from perfect every day mascara The wand on this mascara makes it so unique. It is a larger curling wand with more or a flat design. It is amazing for pushing up any straight lashes and gives them a true curl that holds all day (particularly if paired with the mascara primer i have found). The wand picks up just the right amount of product and is large enough to reach nearly all of my lashes in one go which is amazing, as it makes my everyday routine so much quicker! the formula itself is really lovely. it isn’t an incredibly wet formula which i find makes it easier to work with from the first application. I love the natural fluttery daytime look this gives my lashes! Rated 5 out of 5 by BeckyG from Love this mascara! I’m hard to please with mascara but this one ticks all the boxes for me. My mum went out and bought this after seeing mine! It’s lengthening and curling yet still looks quite natural with no clumps even when layered up. The unique brush makes it easy to use and grabs every lash. It works even better in conjunction with the flash primer to give added volume. The packaging is beautiful, feels very luxe and the mascara also smells lovely!